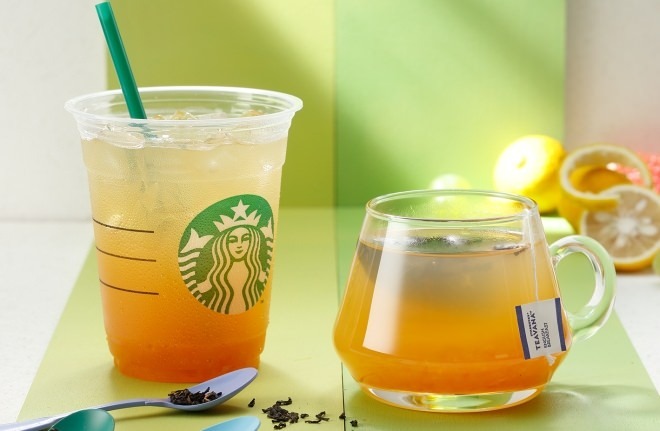 Starbucks Coffee Japan opened its tea brand shop “TEAVANA” on October 3. Around the world, tea sales reached 125 billion dollars, which is bigger than coffee as of 2015. So the company hopes for a big success in Japan. Their signature drink for its opening is "yuzu citrus & tea". The tea has a lot of pulp of yuzu citrus, pink grapefruit and white grapes.The company says that it's not only tasty, but pleases the eye, and the customers will enjoy the tea using the five senses. Against the world trend, Japan is a coffee giant!